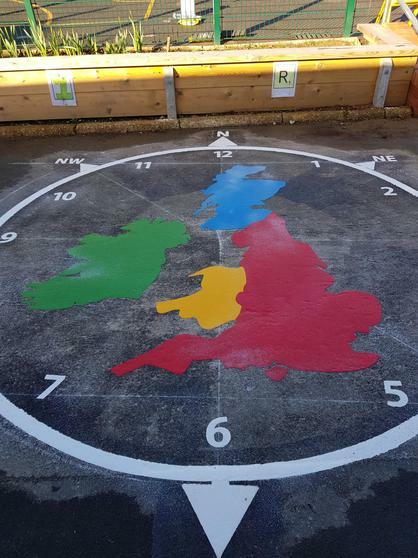 There has been much excitement today as we have had Playground marking visitors from Manchester! 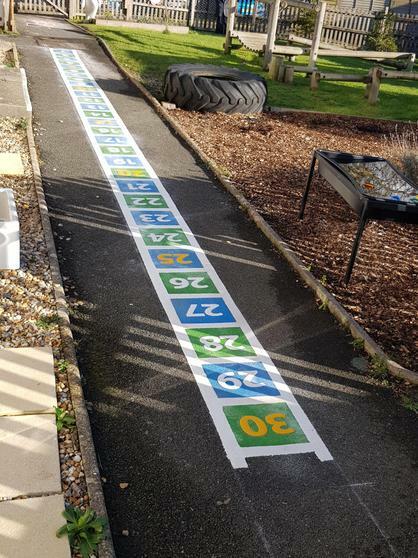 Using some of our PE Grant we have commissioned a number of different markings to encourage team play, maths play, geography and science play. The kind gentleman even added an IOW to the map that did not actually have one supplied! 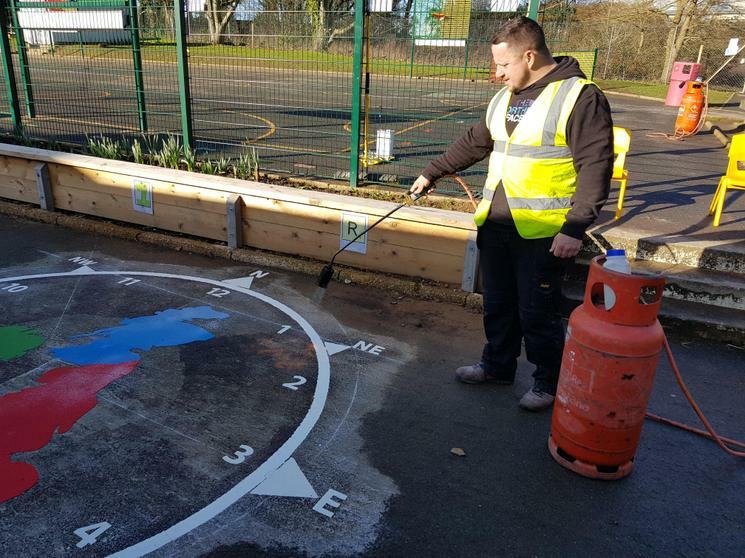 We look forward to seeing all the markings being used!